The Grand Prix event finally returned to New Zealand after a long hiatus, treating the spectators to an amazing display of high-level play, perhaps something the Kiwis haven’t seen in a while. Each rubber set brought up the tension as the crowd held their breath, waiting for the single shot that would end it all. By Kira Rin, Badzine Correspondent, live in Auckland. Photos: Kira Rin (live) and Badmintonphoto (archives). With the experienced doubles specialist Vita Marissa on court, young Praveen Jordan could rest easy in that he had a great partner to count on. Riky Widianto and Puspita Richi Dili however, surprised their opponents with fast and energetic play, as was seen yesterday against the Koreans. It was only a shortlived surprise though, as the highly experienced Vita saw through their tactic and proceeded to lock down the net, letting Praveen attack from the back. Riky and Puspita could only watch as the 2 games slipped away, one after the other. At only 15 years old, Akane Yamaguchi is one of the youngest ever finalists at a Grand Prix tournament. 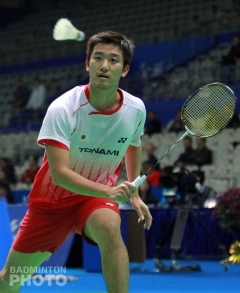 Facing the current World Junior Championship runner-up was China’s Deng Xuan. 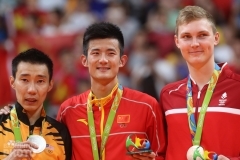 Herself only barely out of her teens, Deng was playing in her first final since the gold medal match at the Youth Olympic Games in Singapore in 2010. 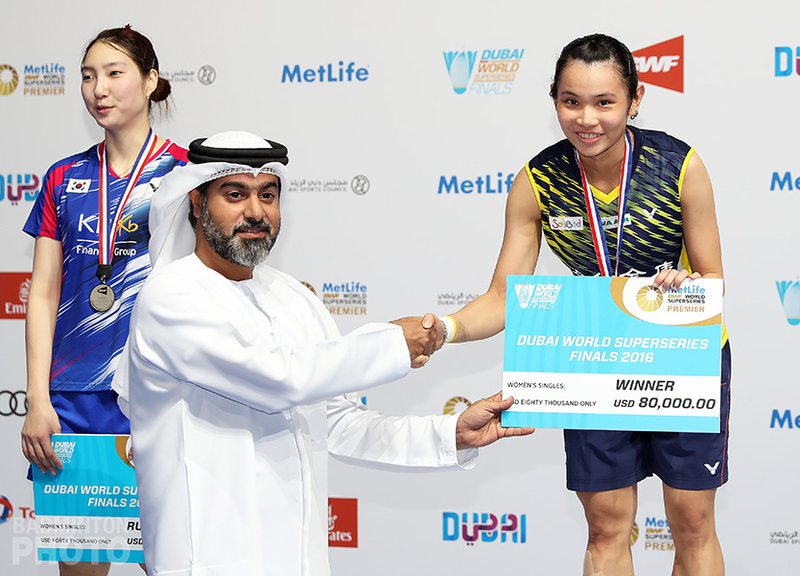 What the Japanese player lacked in height, she made up for in speed, dashing around the court to retrieve the shuttle. Deng Xuan tried to take advantage of her height, as she pushed shots to the back and followed these up with drops and net kills to finish. Akane responded by playing a variety of drives and quick low back shots with the occasional net shot to push Deng out of position. No matter how short she was, Akane seemed to run for ages without tiring from the long rallies. 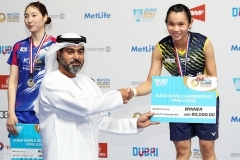 She even mustered beautiful play for a come-back, as she forced the Chinese player to make errors, taking 9 points in a row to erase her opponent’s 7-point lead. In the final game where it really counted, Akane had stopped net killing into the net, opting instead for deceptive soft drops. Similarly, Deng drew Akane to the net then flicked quick shuttles past her. From a 6-point deficit, Akane came back with a combination of endurance and skilful positioning to force errors from Deng. It wasn’t enough however, as Deng displayed superb coverage to set up an opportunity to smash down the final point. Women’s Doubles – Women’s doubles or Mixed? 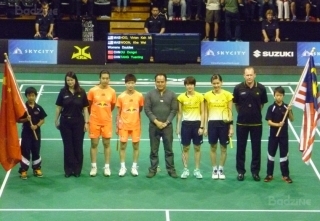 Top seeds Vivian Hoo Kah Mun and Woon Khe Wei came into the finals, looking to exact revenge from Ou Dongni and Tang Yuanting who had defeated third seeds Malaysia’s Chow Mei Kuan and Lee Meng Yean in the very first match. The game played very much like mixed doubles, with each side having a designated attacker who would hit hard from the back and a front player who would attempt to lock down the net. Longhaired Tang Yuan Ting fought just as hard as Vivian Hoo to keep the shuttle going down. 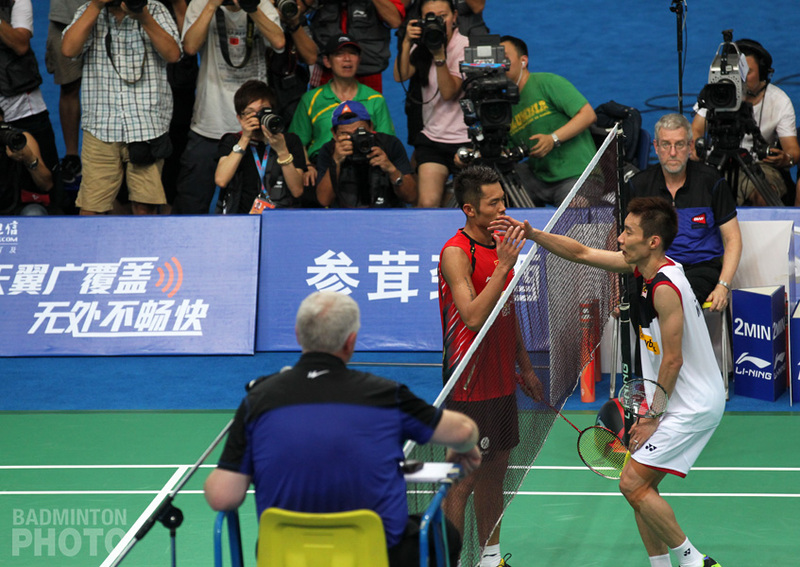 And after seeing the first game dropped to bad net shots, the Malaysian pairing bit back with hard and fast attacks. Vivian hit smash after smash to keep the shuttle down, and drove the Chinese back, capitalising on weak returns to take the second game. The hall echoed loudest with this match, with cries of “China, Jia You” and “Boleh” each time a rally ended. Two lucky spectators even had the opportunity to wave big versions of the Chinese and Malaysian flags. 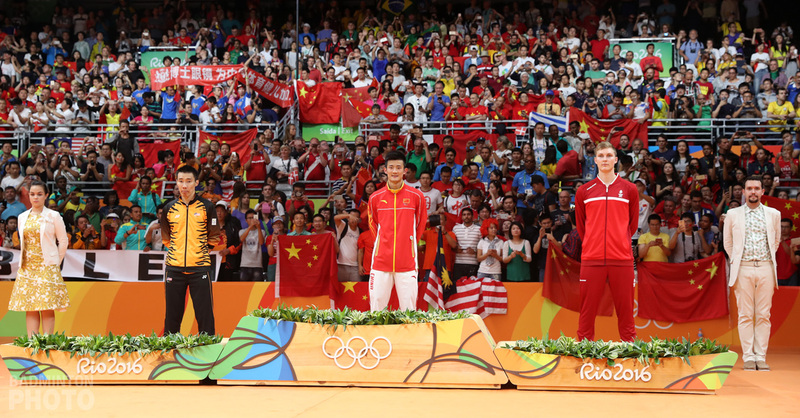 Such cries and cheers did well to prove that badminton still remains popular and is growing well in New Zealand. A nagging ankle strain saw the tournament doctor called at the mid-game interval of the third game to tape up Woon Khe Wei’s foot. The Chinese were not ones to let an opportunity go to waste as they stepped up their offensive to stretch out to a huge 8-point lead. Vivian however, wasn’t daunted by such a big gap, instead grabbing any chance to attack and help cover her partner to drag it back. Ou and Tang grabbed the first opportunity to attack and pressed home the point that would earn them the match. 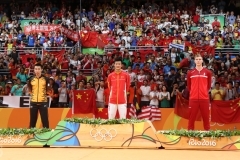 Xue Song once again found himself on the wrong end of the podium, as he fell to 2011 New Zealand champion Riichi Takeshita. In fact, on that occasion Takeshita had beaten a continuous line of seeded players, despite it being an International Challenge-level event at the time. But although Xue Song’s name is new, he has recently proven that it will also soon be one to watch for. Riichi placed soft shots to the net and played a solid defensive game, whilste Xue smashed with pinpoint accuracy at the lines, as both players traded a game. Come the final game, Riichi utilized calculated lifts, anticipating Xue’s attacks based on experience from the first 2 games. Past the mid-game interval, Riichi sensed Xue’s faltering stamina and pressed his attack, denying any chance of Xue’s coming back to prevent the Japanese player from taking back the title he had won 2 years earlier. World number 12 men’s doubles pair Angga Pratama and Ryan Agung Saputra showed the experience and skill that enabled them to get into the top 20, as they demolished the young Chinese pair of Li Junhui and Liu Yuchen in the fastest game of the night. Li and Liu did manage a minor come back later on, with sharp attacks to even hold a game point. Alas, the Indonesians were cool headed enough to force a deuce, and then drove past the Chinese pair to finish the last match of the day. All the results from finals day can be found here.